The word Crusade is associated with the European Christians of Middle Ages. The declared purpose of the European Crusades was to reclaim Jerusalem from Muslims. Currently, a Judeo-Christian Crusade is underway to consolidate the territorial claims of Israel, a state instituted by the European Jews with the support of the European Christians, in lands that constitute historical Palestine. Since 1948, the European Jews have occupied some parts of Palestine through a colonial gift from Great Britain and some parts through wars and settlements. Jerusalem, however, is still a disputed city. The Jews, supported by Evangelical Christians, claim exclusive and complete authority over Jerusalem as the eternal capital of Israel. On December 6, 2017, the United States officially recognized Jerusalem as the capital of Israel. This recognition alters the nature of the conflict from an Israeli-Palestinian issue to a grand conflict between Jews and Muslims. Muslims willing to recognize Israel are refusing to recognize the Jewish sovereignty over entire Jerusalem. The 56 Muslim nations spanning from Morocco to Indonesia reject the Jewish claim over Jerusalem, as do some other nations, including France, Germany, Italy, and Spain, the nations that themselves conducted the Christian Crusades of the Middle Ages. 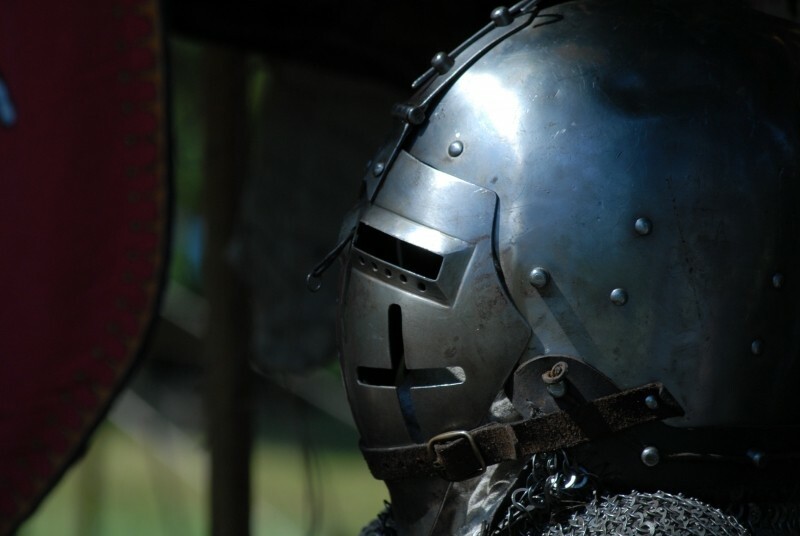 A brief comparative study of the First Christian Crusade and the First Judeo-Christian Crusade furnishes profound historical insights and may even predict the probable future course of the conflict. It appears that the Muslims would strive to reverse the gains of the Judeo-Christian Crusade as they did those of the Christian Crusades. However, numerous complicating factors thicken the plot. In 636, four years after the Prophet Muhammad’s death, Muslims conquered Jerusalem, a city located in the Christian Byzantium province called Palestina Prima. From thereon, the European Christians, particularly the Franks, were determined to reconquer the city by all means necessary. For them, Jerusalem was the sacred town where Jesus was born, crucified, rose from the dead to the heavens, and “would return to the earth with the great sound of a trumpet.” On July 15, 1099, four hundred and sixty-three years after the Muslim conquest, the European Crusaders seized Jerusalem from the Fatimid Caliphate headquartered in Cairo. However, the Crusaders refused to cede the city to the Byzantium, the pre-Islamic sovereign of Jerusalem. Peter the Hermit might have been far less influential than the credit he receives in European history. Yet the First Crusade transformed European Christianity. The crusading theology discarded the New Testament teaching of turning the other cheek and promoted a notion of pitiless warfare for “just causes” turning Europe into a killing machine for centuries to come. The expulsions and the holocaust of Jews, the colonization of the Middle East, and the current Islamophobia in Europe are the revival shocks of the Hermit’s theorization. Since God works in mysterious ways, the Hermit’s crusading theology flopped to bring peace to the world and God declined to keep Jerusalem under the Christian hegemony. The Christian Kingdom of Jerusalem came to an abrupt termination in less than a hundred years. In 1187, Saladin, a Kurdish Muslim military leader, recaptured Jerusalem. For centuries onward, Jerusalem would remain under the control of various Muslim dynasties. In the 20th century, however, the European Christians and the European Jews joined hands, the first time in history, to defeat Muslims occupying the holy land. It is unclear how to date the first Judeo-Christian Crusade to recapture Jerusalem from Muslims. Some might date it from the November 1917 Balfour Declaration when the United Kingdom, then at war with the Ottoman Empire, promised to establish a homeland for Jews in Palestine, an Ottoman territory. Some might date it from May 1948, when Israel was declared an independent state. Some might date it from June 1967, when the Jews defeated the Arab armies and conquered East Jerusalem and other Muslim territories. Some might date it from December 2017 when the United States recognized Jerusalem as the capital of Israel. November 1917 is most certainly the date for the public declaration of the first Judeo-Christian Crusade. June 1967 is a more realistic date for the actual conquest of Jerusalem. December 2017 is significant because this is when the United States abandoned its false neutrality and openly sided with the Jews against the Muslims. Whatever date is the origin of the Judeo-Christian Crusade, this is the first time that Jews and Christians have come together to take Palestine and Jerusalem away from the Muslims. Even though many Christian nations are divided over the final status of Jerusalem, their support of Israel as a replacement state in Palestine has been loud and clear. The United States and many other Christian nations support Israel in its wars with Muslim countries. Iraq, Syria, Lebanon, Libya, and Yemen have been deliberately destroyed to strengthen the foothold of Israel in the region. Iran is next in line. Saudi Arabia, Egypt, and some other Muslim countries have been compromised in favor of Israel by non-representative governments, monetary incentives, and military threats. Since Israel is militarily invincible, Muslims cannot take back Jerusalem by force. For all practical purposes, Jerusalem is already under the exclusive control of Jews, what Israel calls “the truth.” Jerusalem is home to Israel’s legislature, its Supreme Court, and the prime minister. In recognizing Jerusalem as the capital of Israel, President Trump says, “This is nothing more or less than a recognition of reality.” Thus, Jerusalem is a disputed city only in unenforceable U.N. resolutions. The Jews are doing whatever they can to slowly but steadily remove the defiant Muslim residents of the city through settlements, demolition of houses, and purchases of real property. It is unclear whether Muslims have now lost Jerusalem and Palestine for all times to come. The Muslim defeat appears to be a foregone conclusion, a fact on the ground. The European and other Christian countries seem to have made a commitment to the survival of Israel. Muslim countries neighboring Israel, which refused to recognize Israel, have been decimated. Nations, such as Iran, which oppose the existence of Israel, have been marked out for retaliation. Efforts are underway to foment a grinding war between Shias and Sunnis to further eliminate any unified Muslim threat to Israel. Muslim militants who oppose the Jewish sovereignty over Palestine are universally condemned as terrorists. Right now, Muslim militants are fighting their own governments. Taking Jerusalem as a flashpoint, it is likely that the militants will begin to fight Israel. Furthermore, the demographics pose the greatest threat to Israel. Within Israel, nearly 20% of the population is Muslim of various denominations. These Muslims, more than a million, are Israeli citizens. In Gaza and West Bank, the areas under Israeli occupation, nearly five million Muslims refuse to accept Israel as a legitimate state. Another five million descendants of the Palestinian refugees live in Jordan and Lebanon, dreaming the right to return to the land of their ancestors displaced in 1948. Periodically, intifada is likely to erupt to revive resistance to Israeli occupation. It is also unclear whether all Muslims nations will ever recognize Israel as a lawful state. It is also likely that Muslims nations that have recognized Israel, such as Egypt and Jordan, may come under popular pressure from their peoples to reverse recognition. Brewing militancy, threats of the intifada, and the dynamics of Muslim non-recognition of Israel demonstrate that the Judeo-Christian Crusade for the control of Palestine and Jerusalem faces an unpredictable future. Previous articleThe U.S. Veto and Jerusalem’s Legal Status, the Occupied Capital of Palestine! 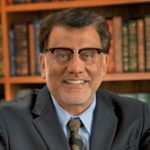 Liaquat Ali Khan, Professor of Law at the Washburn University School of Law, has authored several books, including The Extinction of Nation-States (1996), A Theory of Universal Democracy (2003), A Theory of International Terrorism (2006), and Contemporary Ijtihad: Limits and Controversies (2011). Over the years, he has written numerous law review articles and essays on Islamic law, international law, commercial law, creative writing, legal humor, jurisprudence, the U.S. Constitution, comparative constitutional law, human rights, and foreign policy. His academic writings are used as part of course materials in universities across the world. He contributed this article to Media Monitors Network (MMN).